Official 65th Birthday photo by Sue Wilson. Original Casey Jones hat by Jeremy Shapiro. 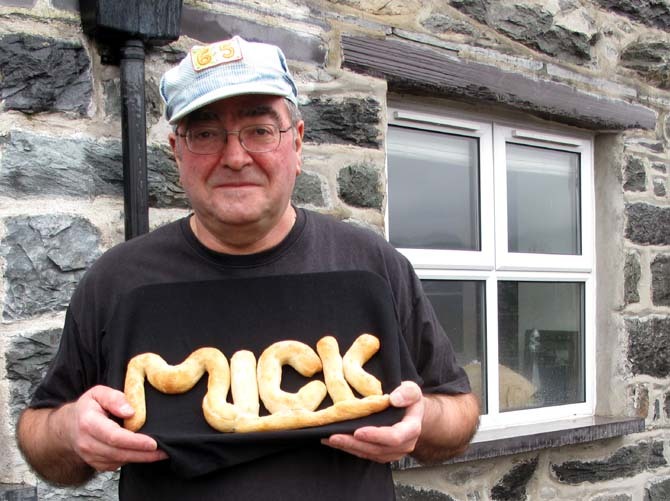 “Mick” bread by Marcus Row (what a Star!). I owe you a new hat! Happy Birthday, Mick. I’ll join you in the 65 club in September. Thank you all for your good wishes. Yes, Jeremy, it’s time you sent me a new hat – better still if you hand deliver it. Do you think this will work all out of the fridge? Or should I Put the Wednesday morning refreshment in the fridge and only get it out Wednesday evening?